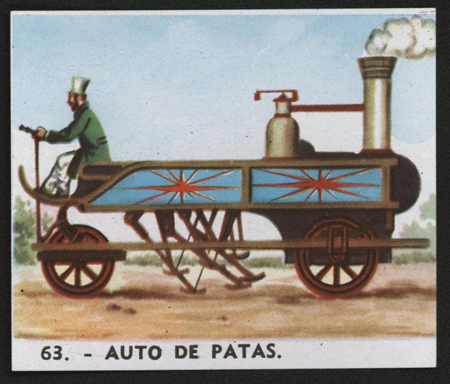 This bubble gum card features the Auto de Patas, which was a steam carriage. Its method of locomotion appears to be six mechanical legs. A very cursory internet search failed to find additional information. Contact us if you have additional information about the Auto de Patas, or if you have questions.